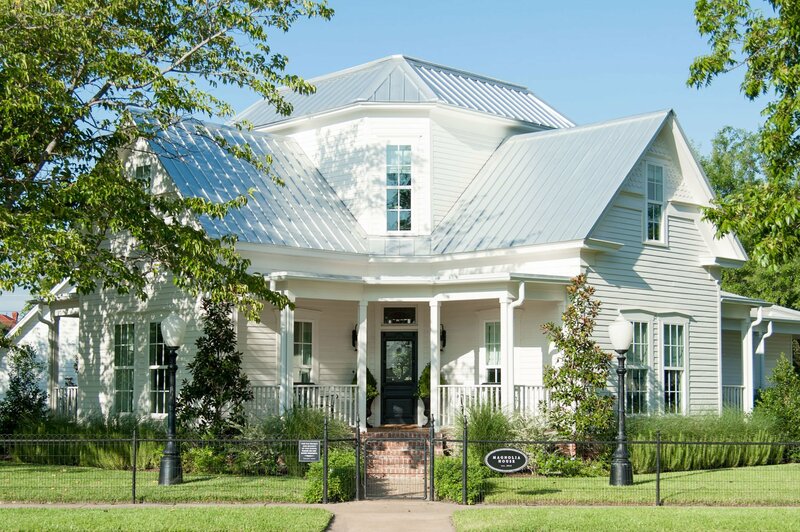 HGTV Chip and Joanna Gaines fans you will love seeing their famous vacation home to rent called Magnolia House. 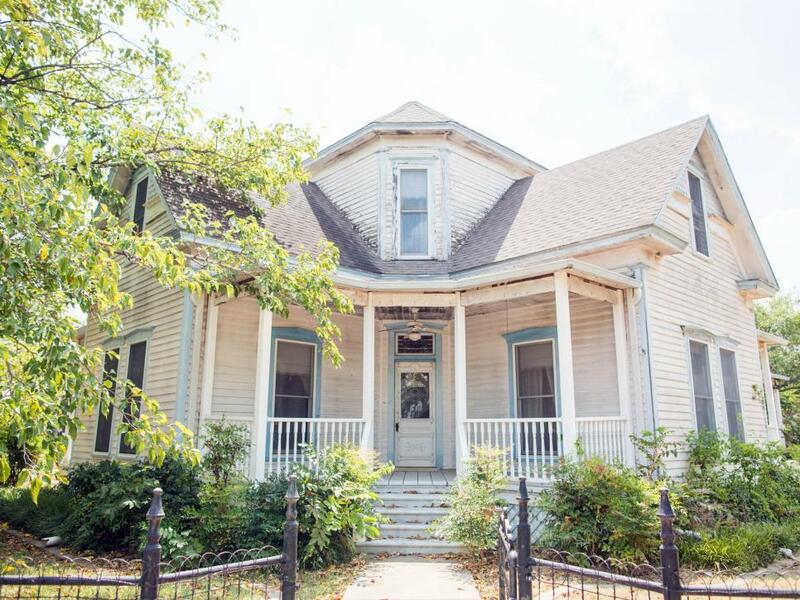 Fixer Upper Magnolia House is a few minutes outside of Waco in the historic town of McGregor. 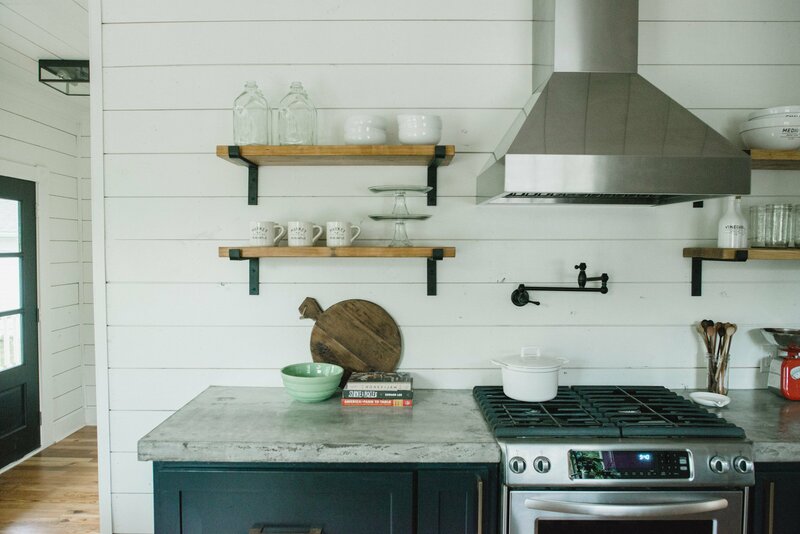 People book stays here for many reasons and one obvious reason is to go shopping at Magnolia Market at the Silo in Waco, Texas. 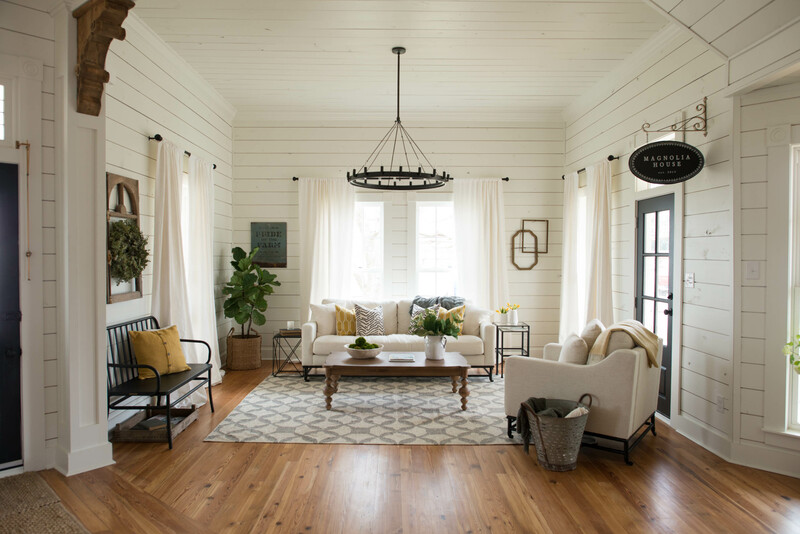 I am dreaming of staying in the Fixer Upper Magnolia House and shopping at Magnolia Market, then coming home with bags of decorating goodies. 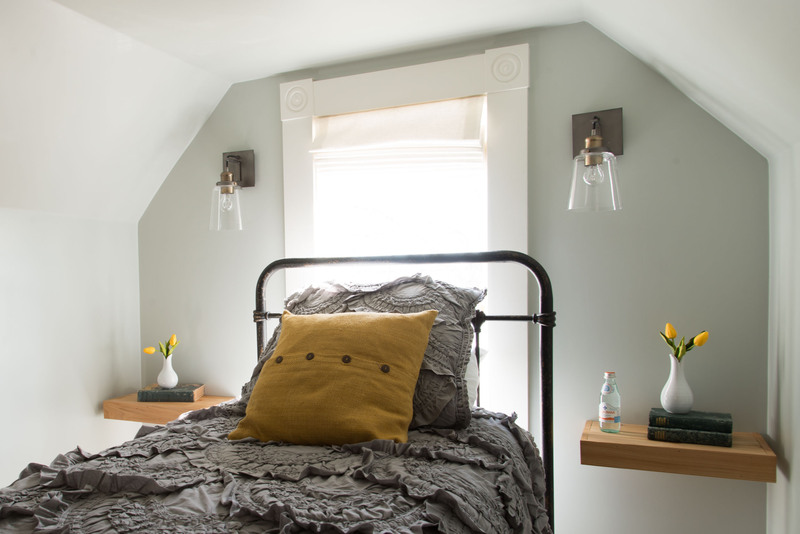 The next best thing is to shop online or head to Target and browse the aisles for Hearth and Hand Magnolia, Joanna’s Home Decor. 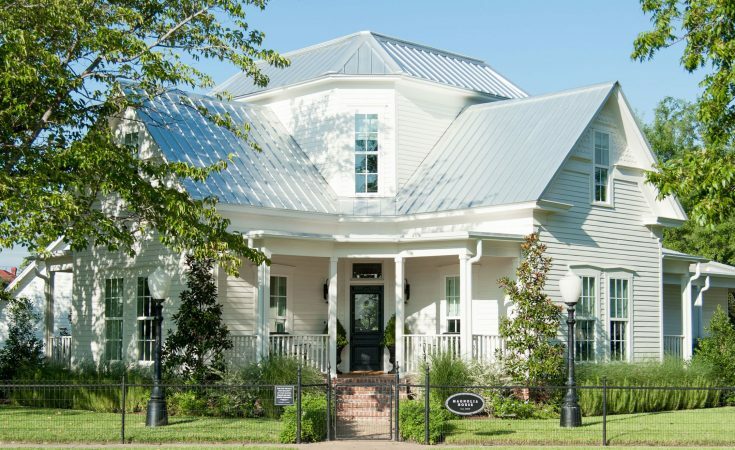 Take a look at Magnolia House that was a featured home renovation on HGTV Fixer Upper. 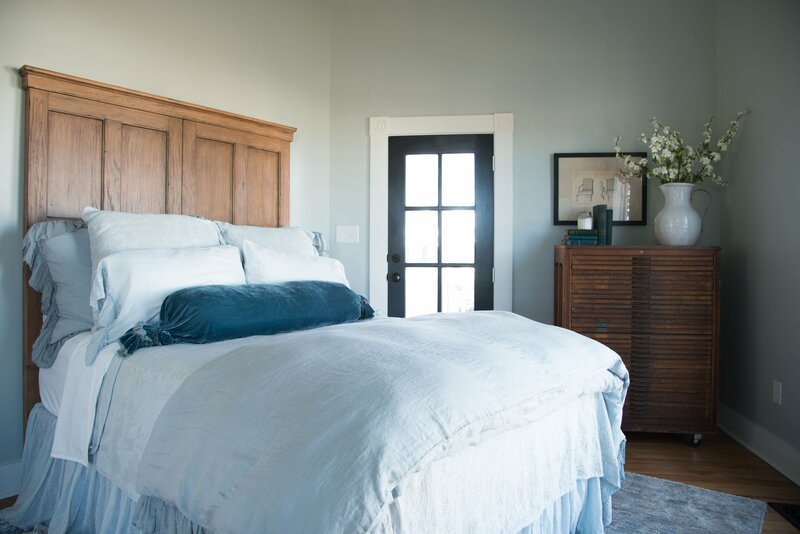 Chip and Joanna Gaines call Magnolia House the perfect place to call home while visiting Waco Texas and who can disagree. 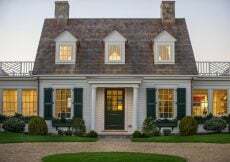 It is such a charming home inside and out. The house screams welcome home. 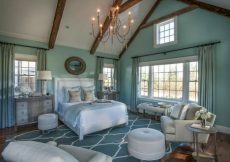 Something that makes the house memorable is how it’s centered on the property and not squared off like most cookie-cutter homes in suburbs. 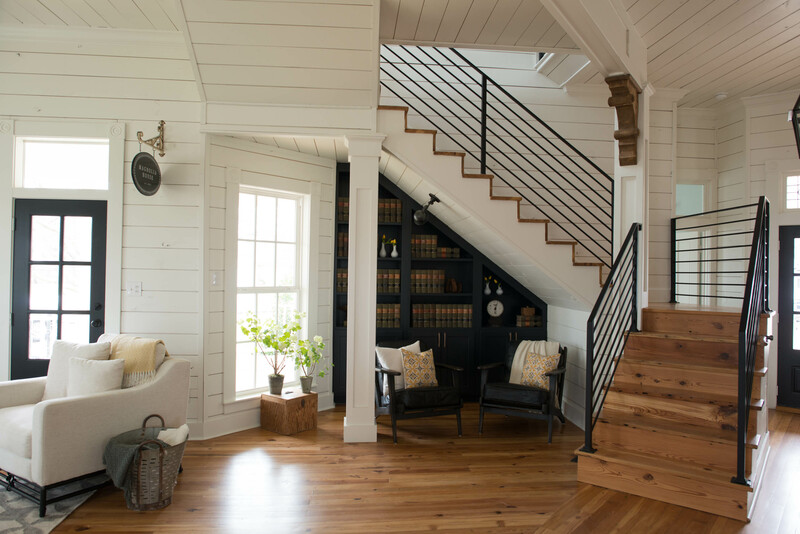 Pinch me, the interior is shiplap heaven. One of my favorite color partners with white is black. 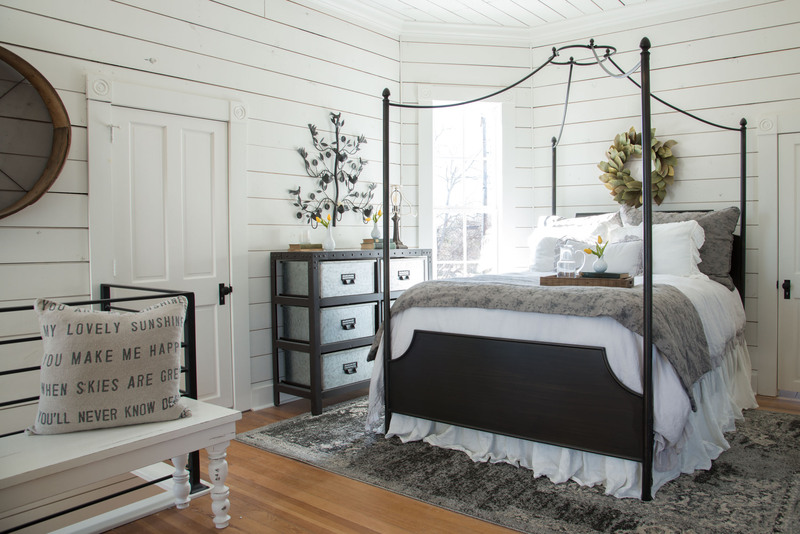 Magnolia House has black doors, chandeliers, curtain rods, and furniture. 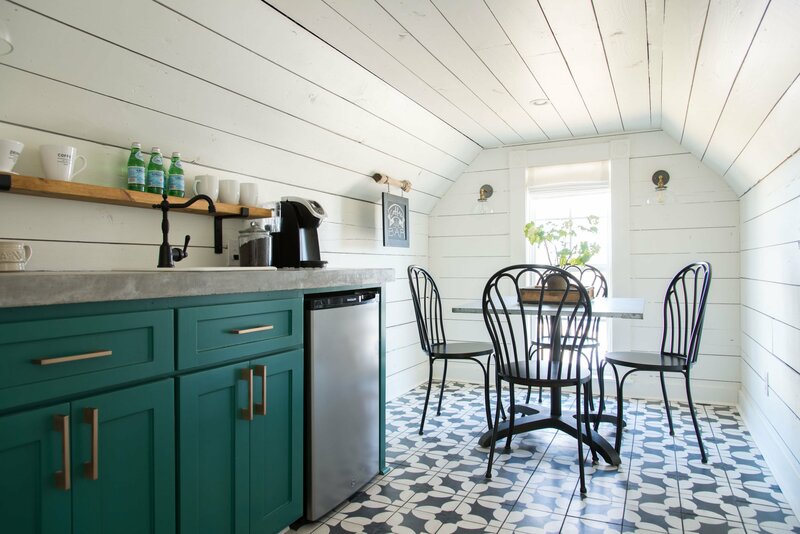 Magnolia House sleeps up to 8 people comfortably. Booking a stay is pricey ($695.00 a night) so going in on a stay with lots of friends or family is a good idea. When you stay here, you are renting the whole house. 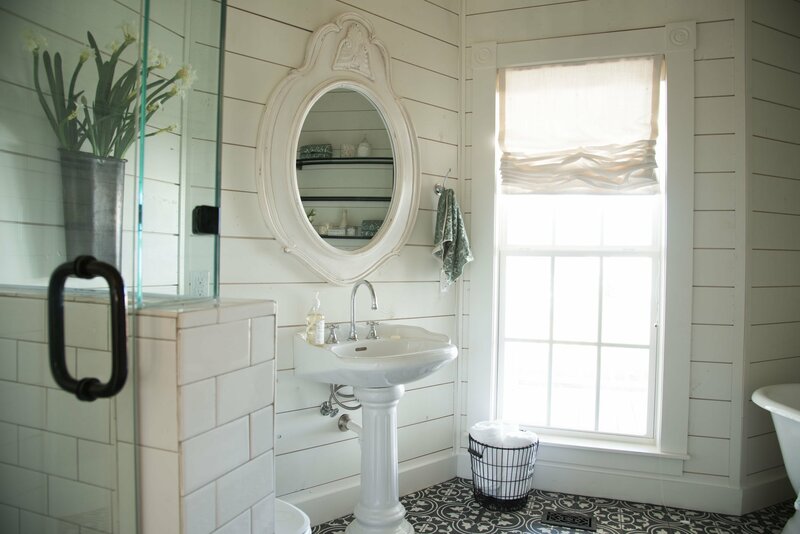 The pedestal sink is original to the home and I love every bit of it. 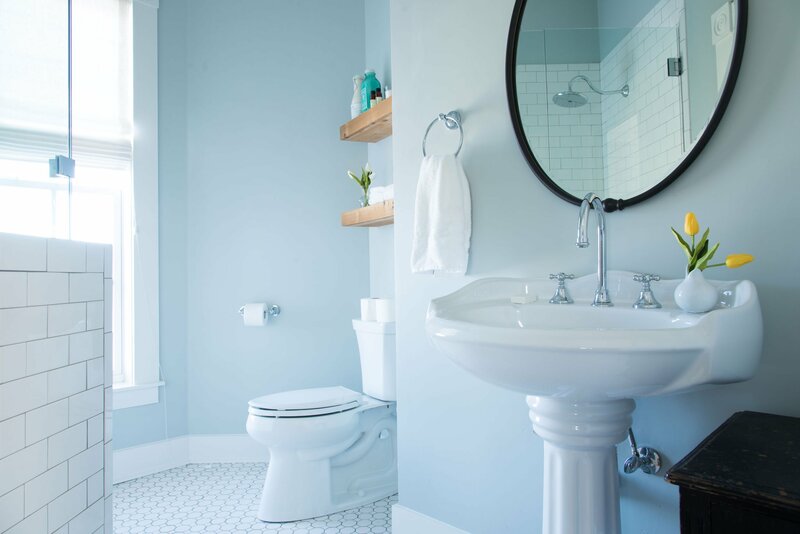 New subway tile and patterned flooring, new fixtures, and hardware plus the wonderful mirror were all added to the design of this bathroom. 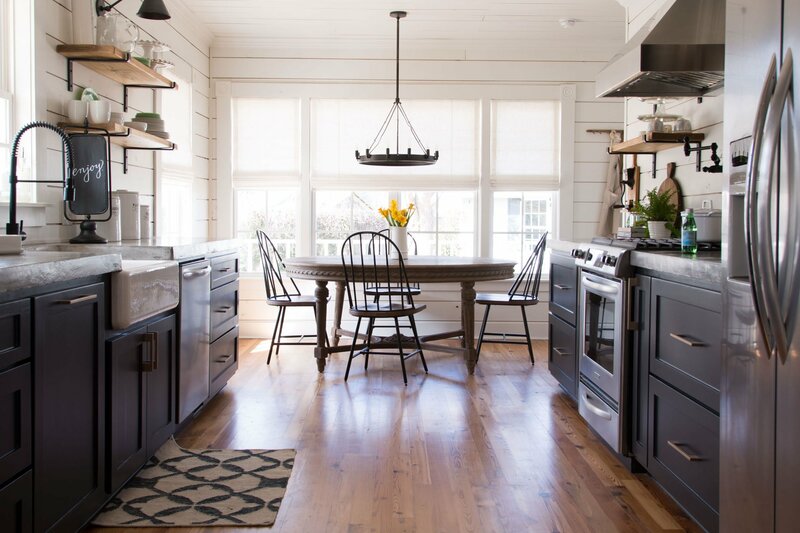 If you liked Fixer Upper Magnolia House, please subscribe below to never miss a house. 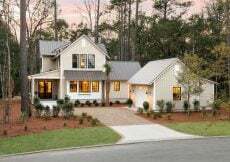 Click to tour more featured HGTV homes. 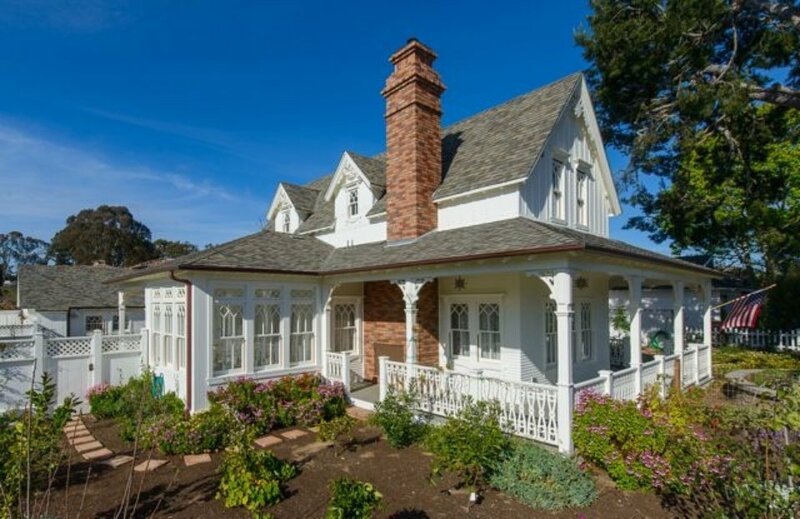 Fixer Upper Magnolia House reminds me of this Napa Farmhouse Home in California that was for sale. Take a look. We’re never going to get tired of Chip and Joanna’s magic touch, are we? Lately they’ve been mixing more modern bits into their homes, and somehow making it fit perfectly! What’s not to like? 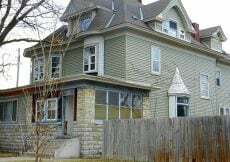 It looks like a very livable home, but I suppose that’s what Joanna is known for. Great styling and attention to detail are her trademark. I love everything about this home. The built-in bookshelf under the stairs wow! 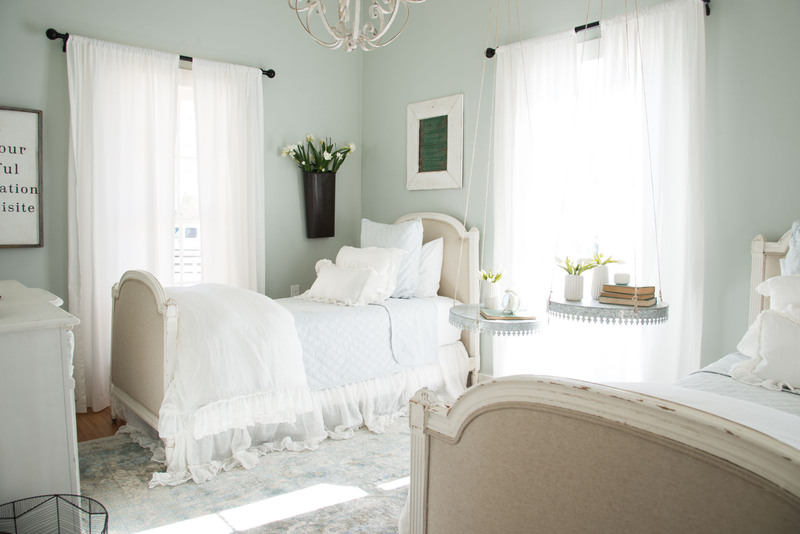 The bedrooms are so charming too. 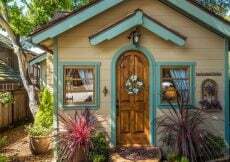 I would love living in that’s for sure! As they say, Me Too. 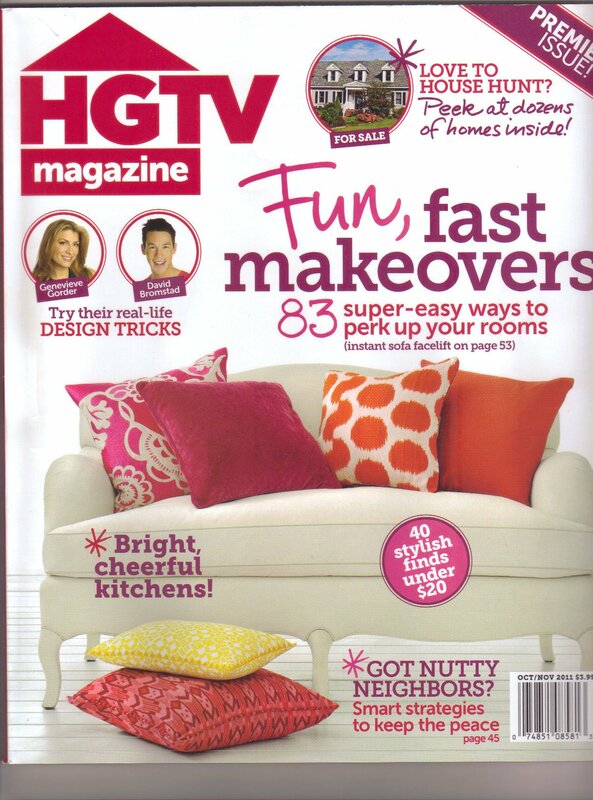 My someday wish is to buy some charming Joanna Gains home decor from Magnolia or Target.